Never miss a second of live, local and regional sports action with award-winning broadcaster Walt Ferber and the sports team! Never miss a second of live, local and area sports on-air and streaming worldwide at witzamfm.com. Never miss a second of live, local and regional sports action with Walt Ferber and the Sports Team! 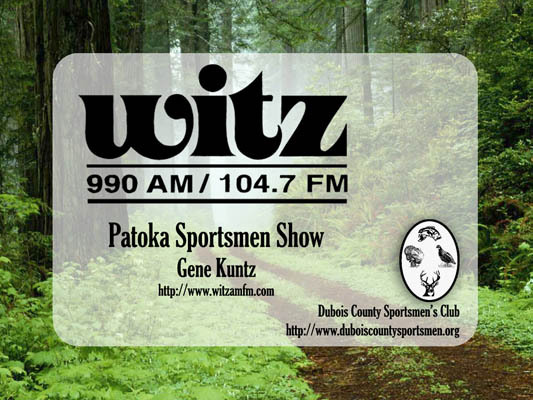 Never miss a second of live, local sports on WITZ / WQKZ. Never miss a second of live local and regional sports action with Walt Ferber and the sports team at WITZ and WQKZ. Here is the latest edition of our on-air sports schedule. Walter Ferber and the Sports Team have all of your local and regional sports action, live and on-air. Jaspers alltime leader in goals and assists Tyler Hunt announced he would play soccer at Kentucky Wesleyan in Owensboro Ky. Tylers sister Madyson is a standout on the womens teeam at Kentucky Wesleyan. Left Fielder Nathan Rillo with the Ackerman Oil Slick Play of the game in Jaspers 17-1 five inning win over Princeton. Jasper is now 10-1. Allstar Sports Allstar of the game Madison Allen drives in two of her four runs here with a double. She also had a two run homer and was 4-4 as Jasper defeated Southridge 9-4. It was Southridges first loss of the year. They are 4-1. Co Allstar Sports Allstar of the game Andrew Wallace gets the Cats on the board in their 11-2 win over Evansville Central. Jasper is now 6-0. Allstar Sports Allstar of the game Grace Colvin hits a walk off seventh inning HR as Jasper comes from behind to edge Northeast Dubois 7-6. Nathan Rillo, the third Jasper pitcher of the ninth closes out the game in Jaspers 9 to 0 win over Mt Carmel. Isaac Bartley pitched the first five allowing one hit for the win. Cam Killian pitched the sixth. Three Jasper Pitchers Carter Stamm, Caleb Burger and Trevor Krapf allowed one hit total in ten innings in the Jasper win.